While talking about the changed definition of TRAI's TTO which was stayed by TDSAT, Mathew said that it is again a very good thing from the perspective of incumbents because they believe that by redefining significant market by SMP by taking out the two of the four criteria was from the previous TRAI ruling. Rajan Mathews, DG, Cellular Operator Association of India (COAI) termed TDSAT's interim order that stays parts of TRAI's February, 2018 order on predatory pricing and new definition of Significant Market Player as a good since it restores a level playing field and gives ability to incumbent operators to continue to offer that type of value to the customers. 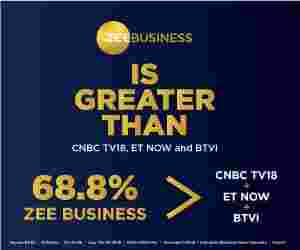 In a candid talk with Zee Business's Shiv Prakash Yadav, Mathews said that it is a very good order for the incumbent operators because the stay has brought relief from the Trai's Telecommunication Tariff Order (TTO) offer. Asked about the segmented offers, that is a big matter of debate among telecom operators, Mathew said the main problem for the mainline operators was that they felt that their ability to retain customers and provide additional value to a certain segment of customers was being taken away and the level playing field was being disturbed. He added, the old telecom players said that these special plans were being given as discount plans and should not be counted as new tariffs. The 25 tariff limits will be there and will be listed but any discounting to some of these tariffs should not be considered as new tariff plans, which should be listed and reviewed before 7 days by the regulators. So, the TRAI order was kept at abeyance in this particular order. I think this restores the level playing field and gives an ability to incumbent operators to continue to offer that type of value to the customers. While talking about the changed definition of TRAI's TTO which was stayed by TDSAT, Mathew said that it is again a very good thing from the perspective of incumbents because they believe that by redefining significant market by SMP by taking out the two of the four criteria was from the previous TRAI ruling. They felt that they have changed the landscape and again disturbed the level-playing field where it favoured one incumbent operator to the disadvantage of the other incumbent operators. He added, so we believe that TDSAT order restores the balance and they will look into the matter. In addition, the Supreme Court where the matter is being discussed and it will spell out its decision on who has jurisdiction on comparative issues like Competition Commission of India or the regulator, TRAI. Hoping that TDSAT's interim order will be included in the final order and bring a clarity on additional items that were in press, Mathew said, we are hoping that the comprehensive order when comes will be a good package to restore the level playing field between the new incumbent operators and the incumbent operators in terms of ability to offer value to the customers.